Having the proper ceramic tile edge for your stairs is important not only for structural integrity but for providing the proper aesthetic look and feel. It is a simple procedure that can be done quickly and inexpensively, providing you with the assurance that your stairs will be beautiful and last a lifetime. Find the center of your stairway edge using the tape measure. Measure out from the center and check against the size of your tile. You want a decent-sized cut on either side, or full tile if it works out that way. You can adjust the center of the tile on either the edge of the tile or the center of the tile to adjust your side cuts accordingly. Mark the center point with the grease pencil. 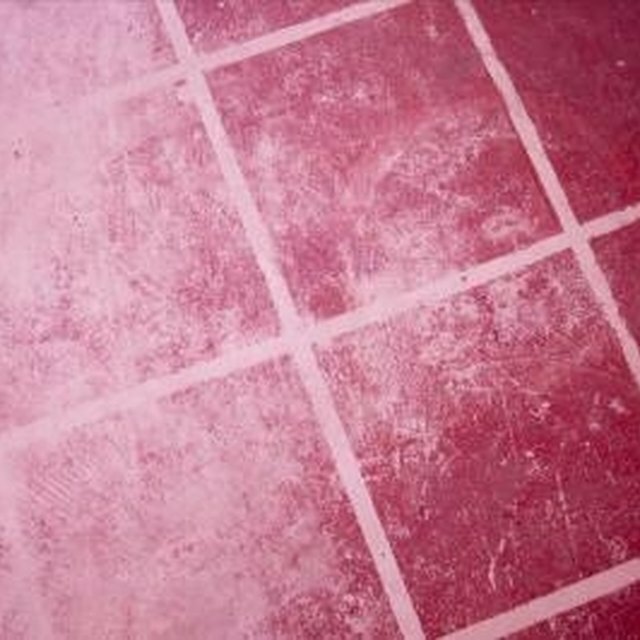 Apply an even coat of mastic with your 1/4-inch trowel to the surface where your tile edge will be installed. If your tile is slightly below the surface of the existing floor material, add a little extra mastic underneath to build up the tile until it is flush with the other flooring material. Set the tile. Apply pressure and move the tile side to side to insure a proper bond. Continue this procedure, working your way out from the center. Use tile spacers to achieve proper grout joint size. Measure your cuts against the edge and mark them with a grease pencil, then use your cutting board to cut them to fit. Let dry for at least 24 hours before grouting. Mix the grout in a bucket according to the instructions on the package. Use your margin trowel to do this. Fill your other bucket with water. Use your grout float to force grout into the joints between the tiles. Clean any excess off by pulling your groat float diagonally across the grout joints. Let dry for 20 minutes. Check the grout with your fingertip. If it does not stick when you tap it gently, then you can wipe it. If it sticks, wait a little longer. Dampen your tile sponge but wring most of the moisture out. Using circular motions and only slight pressure, smooth the grout joints and remove any excess grout from the surface. Wring your sponge out frequently. Let dry for 20 minutes or until a haze can be seen. Again, check the grout joints. If they are dry enough, dampen your sponge again and wipe diagonally to remove any additional haze and smooth any remaining inconsistencies from the grout joints. Wait 45 minutes to an hour. Use a dry towel or rag to remove any additional haze from the surface. Let dry for 24 to 48 hours before allowing foot traffic. All of your supplies can be purchased at Lowes, Home Depot or other home improvement store. Always wear protective eye gear when cutting ceramic tile.